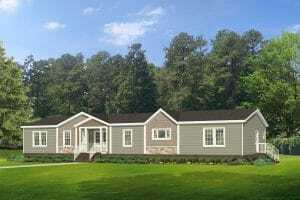 Manufactured homes are built in a weather protected building centers with a stable and reliable workforce. Manufactured homes are built under the federal building code administered by the U.S.Department of Housing and Urban Development (HUD). This HUD code regulates home design, construction, strength and durability, transportability, fire resistance, energy efficiency and general quality. The HUD code also sets standards for the heating, plumbing, air conditioning, and electrical systems. Modular homes are pre-engineered and partially assembled in a climate-controlled factory environment; the homes are then transported to the home site, where the pieces are assembled. Because initial construction takes place under environmentally-controlled conditions, construction is not delayed due to inclement weather and materials are not exposed to conditions that could lead to warping, rot or other moisture-related problems. Click the links below to learn more about each builder.